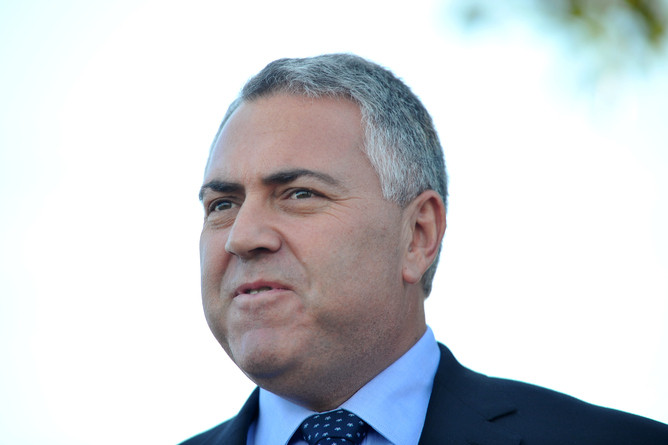 Treasurer Joe Hockey has been in begging mode, flying around the country to meet crossbenchers. suffers from a touch of “born to rule”. who received just a fraction of the vote. Tuesday. Education Minister Christopher Pyne had lunch on Wednesday. Health Minister Peter Dutton will see him on Thursday. 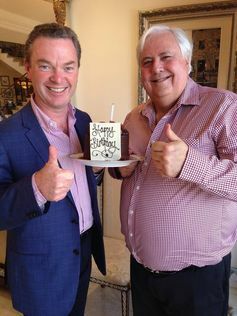 Education Minister Christopher Pyne spent his birthday lunching with PUP leader Clive Palmer. crossbenchers, travelling the length and breadth of the country. There’ll be more work ahead. In a few weeks, the results can be audited. indexation of fuel excise in equity terms. you’ve got to have wealthier people or middle-income people pay more. either don’t have cars or actually don’t drive very far in many cases. This was dismissive politics; an inaccurate description of the tax; and a use of numbers that doesn’t reflect the full picture. $27.60; third $38.55; fourth $47, and highest $53.87. have two or more motor vehicles,” the note said. and Hockey was quickly challenged on Twitter by more relevant figures. it than those better off: Q1- 4.5%; Q2-3.5%; Q3-2.9%; Q4-2.3%; Q5-1.3%. modest earners) had the highest percentage. jobs, and little or no access to public transport. although mounting up over time. It will be unfortunate if the Senate refuses to pass the measure. misstep in a budget sales job that has been full of them.